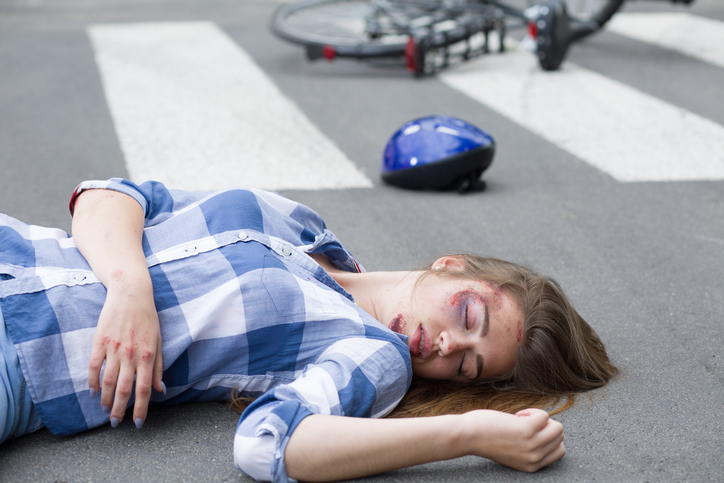 In mere moments, a catastrophic injury can severely change the life of a victim and the lives of their loved ones. This type of life-altering injury can come in the form of spinal damage, brain impairment, severe burns, or amputation with each injury having its own significance and extensive long-term effects. A catastrophic injury can occur almost anywhere and can result from an unfortunate ‘act of god’ to the negligence or fault of another individual. In this article, the catastrophic injury solicitors at Romain Coleman look at the effects of catastrophic injuries and when you should enlist the services of a catastrophic injury solicitor. In general terms, catastrophic injuries are those that result in permanent disability, long-lasting medical problems, decreased quality of life and a reduced life expectancy. These will involve a significant volume of treatments and follow-up care including, but not limited to, repeat medical procedures, and permanent, round-the-clock care. Catastrophic injuries can also impair a person’s quality of life and their ability to support themselves. For instance, the affected individual can no longer work, needs adaptations or disabled facilities in his or her home and car, and possibly some degree of care, physiotherapy or treatment for the rest of their life. Oftentimes, when a victim is left permanently disabled, they must adjust to an entirely new way of living. The aftermath can be devastating, as the victim mourns the loss of a previous quality of life that can never truly be replaced. In addition to invoking emotional trauma, injuries of this nature can lead to a host of physical and mental changes, including loss of movement, sensation and communicative and cognitive abilities. The injury can also severely impact the inner workings of the body, including the function of body systems, respiration, and circulation. As a direct result of the injury or treatment, victims frequently encounter various infections and pain. Moreover, long-term implications of catastrophic injuries are difficult to predict. It may take months or even years until some of the repercussions make themselves apparent. Not only are the extensive treatments a cause of psychological distress, catastrophic injuries almost always have a significant financial burden on the victim and their family, particularly in circumstances where they opt to receive the best medical care possible (usually by going private). An inability to return to work is also commonplace, so stringent measures must be taken in order to ensure that the victim’s economic health is catered for in the event of an injury. It is at times such as these that a specialist catastrophic solicitor such as Romain Coleman can help you to pursue a catastrophic injury claim that you deserve. As soon as you have sustained a life-changing catastrophic injury. You realise that your injury has affected your ability to work and prevented you from enjoying the quality of life that you used to have. As a result of the injury, you now require a significant amount of treatments and follow-up care. If a catastrophic injury was sustained as a result of another individual’s actions or negligence, or by a defective product, it is only natural for the victim to exercise their legal rights and pursue a catastrophic injury compensation claim. The purpose of this claim is to guarantee the best possible future quality of life for the victim as a means of remedying the situation. Having an experienced, specialist catastrophic solicitor working with you can make all the difference. It’s important to note the difference between a personal injury lawyer and a catastrophic injury lawyer, as there are differences between the two that lend themselves to different avenues of legal recourse. At Romain Coleman, we are experts in catastrophic injury claims. We understand the progressive manner in which injuries can reveal themselves as well as how much an injury can affect the lives of the victim of a catastrophic injury, including the people around them. We have a proven track record of providing expert, professional advice in order to help those affected and assist them in navigating this difficult process. We won’t rest until you have been awarded a fair amount of restitution that will cover the necessary resources that will help you regain your quality of life. As our main concern is you, we understand that an injury of this level can cause a lot of stress. For more advice or information on the process of a catastrophic injury claim and what to do, feel free to call us on 0208 520 4555 or contact us online.